OASE pond vacuum cleaners and pond maintenance tools. SaniKoi fish foods, fish disease and water treatments. EXPERT, friendly advice. Water Garden Ltd offer a wide range of maintenance tools, fish care products and water treatments. Pond nets and vacuum cleaners will assist with removal of floating and settled debris. Pliers and Scissors for aquatic plant pruning. Nutritionally balanced SaniKoi fish food provides a healthy Koi diet with minimal wasted nutrients. 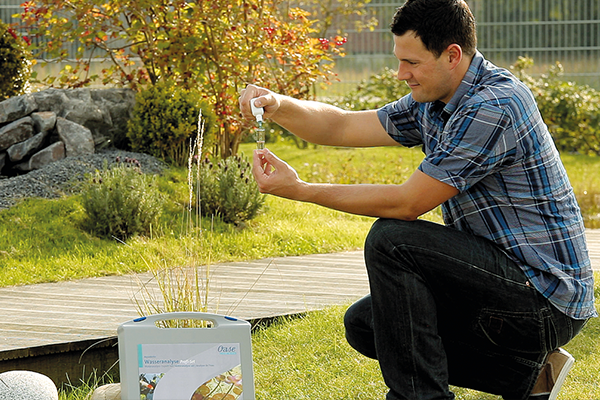 Water testing kits and treatments for maintaining good water quality. Predator deterrents and disease remedies. Automatic feeders and ice preventers. Use our landscaper finder to locate pond builders and maintainers in your area. Every pond requires some form of maintenance, just like your home or garden does! There are lots of tools and equipment available to assist in keeping your pond or water feature an attractive addition to the garden. Maintenance is made easy when the right tools are on hand. 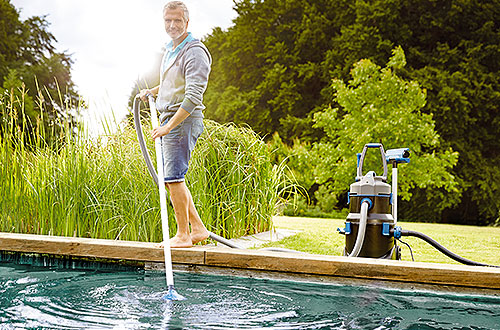 Pond vacuum cleaners make clearing detritus and silt from the base and edges a quick task rather than having to completely drain and hand clear the waste. Our German engineered OASE pond vacuums offer high quality and reliability alongside efficient operation. Generally, pond tools achieve a longer reach than your standard ‘off the shelf’ garden tools and the elongated handles prevent you from needing to wade into the water (and getting yourself wet in the process). 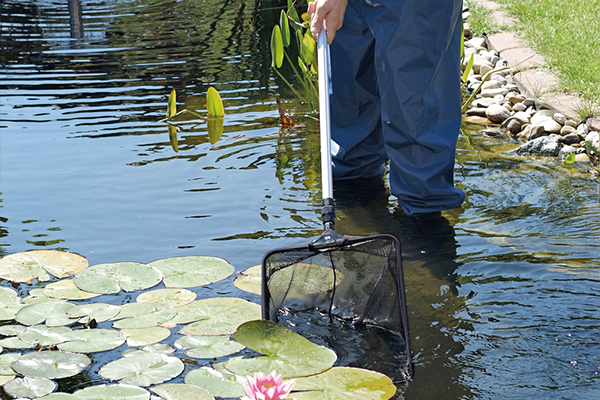 Pond tools come in a variety of forms such as pinching pliers, cutters and pond nets to catch fish, leaf litter or algae. Each has its own intended use and helps make otherwise gruelling tasks a lot more simple and efficient. Fish care and water treatments are another part which need consideration and are both linked with each other, as with poor water quality comes poor fish health. There are a range of fish health and water quality treatments available to tackle a wide range of issues ranging from fish illnesses to water chemistry imbalances. Most treatments aren’t a final solution but assist with the initial problem until the root cause is diagnosed. Water test kits can help with understanding and identifying water chemistry issues such as nitrate and phosphate imbalances before a larger issue develops. By regularly testing your pond water you can prevent algae blooms and fish loss by addressing the specific issue as it occurs.